The Ingenieur Collection was created for individuals seeking a seriously strong and reliable wristwatch. It dates back to the 1950’s with the release of the first Ingenieur wristwatch that combined all of the brand’s technology and core values into one piece. The new Ingenieur collection has received a handsome makeover. The watches in the collection are just as, if not more impressive than the original in terms of usability, function, strength, and style. Three models have been released in the press currently. 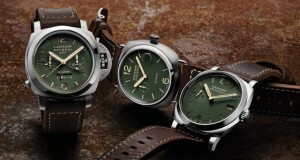 The first is the new Ingenieur Automatic wristwatch. This piece is a classic styled stainless steel watch designed with a 1970’s reminiscent look. If you’re seeking a new, subtle dress watch, this is it. 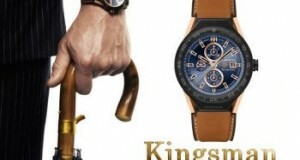 It simply tells the time with gold dials, a clean white face color and gold hour markers. It also has a date window at the 3 o’clock position. If you aren’t looking for a classic wristwatch then you may prefer the new Automatic AMG Black Ceramic. This watch has a sleek, black-out look with retro white numerals for the hours. It is made out of ceramic which happens to be IWC’s specialty. It has a subtle motorsport inspired look to it and features a comfortable, and durable, cloth and rubber strap. A date window is placed at the 3 o’clock position on this model. Possibly the most exciting of the new models is the Chronograph Racer. 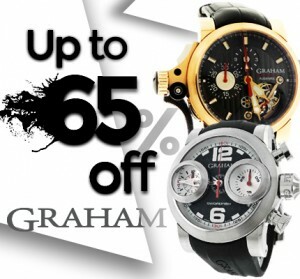 This stylish wristwatch features a sports timer and a 12-hour chronograph with flyback function. The counter dials are medium sized and position in a top to bottom fashion at the 12 o’clock and 6 o’clock positions. This keeps the dial uncluttered and well proportion. A lightly texturized deep grey dial accents nicely with the silver toned dial hands, numerals, and case cover. Four editions will be offered for the Chronograph Racer. 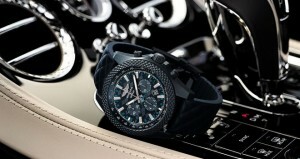 IWC’s new Ingenieur is sure to please those seeking a new piece for their collection. The collection is set for release in early 2013.